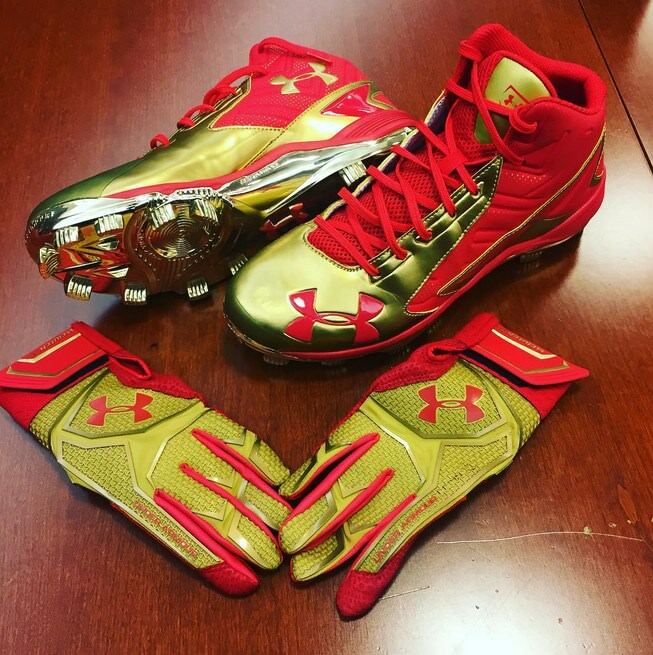 Wong gave us a look at his 2015 playoff exclusives, including these gold/red UA Yard ClutchFit batting gloves, also being worn by Eric Hosmer. His colorway is exclusive, though you can get the Yard ClutchFit style at the link. Categories: Gear, Batting Gloves, Second Base, St. Louis Cardinals, Kolten Wong.